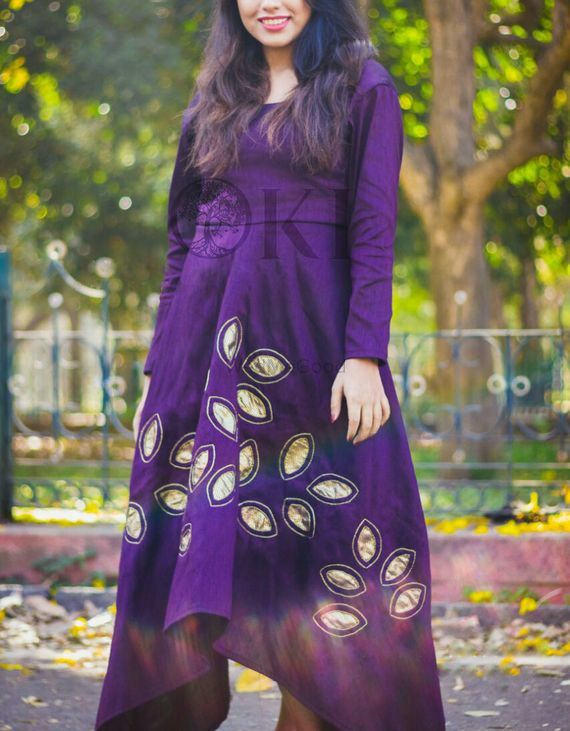 The Designer was inspired to create this dress by the beautiful crisp autumn season, with the golden and rich deep plum hues. The graceful dance of the falling leaves and their message that beauty always lies in letting go! 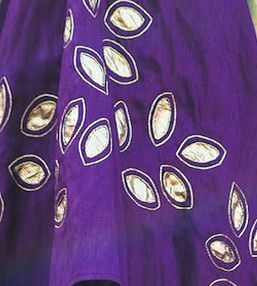 This gorgeous gown is made with Vintage Dual-tone deep plum Raw Silk. The leaf details on the gown are appliquéd with golden brocade fabric outlined with hand embroidered silk thread work!This dress is a US size 4-6, But can be customised depending on your measurements.